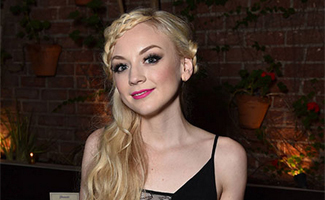 The Walking Dead‘s Emily Kinney (Beth) and Chad L. Coleman (Tyreese) recently mingled with Jon Hamm and other AMC stars at West Hollywood eatery Dominick’s as AMC’s talent gathered for the Hollywood Foreign Press Association’s annual holiday press reception. Check out this gallery featuring cast members from The Walking Dead hanging out with the stars of Mad Men, Halt and Catch Fire, Hell on Wheels and Better Call Saul. Don’t miss The Walking Dead Sunday at 9/8c on AMC.